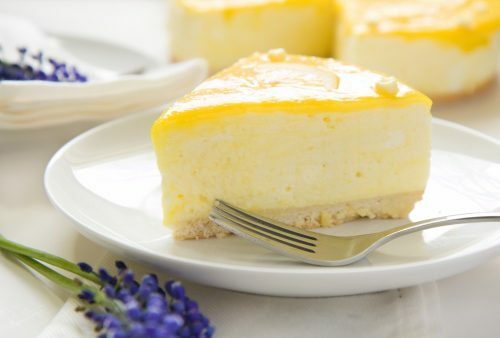 Make cheesecake for your non-dairy or vegan friends and benefit from the protein, too. Tofu mimics the creamy texture of cream cheese. File this one among your healthy recipes for a show-stopping dessert. Don’t worry though, you can also file it in the category of easy recipes. Preheat the oven to 350 degrees Fahrenheit. To make the crust, mix the graham cracker crumbs, maple syrup and vanilla extract. Press into a 9-inch pie plate sprayed with non-stick cooking spray. Bake for 5 minutes and cool. Use a food processor to combine the tofu, coconut sugar, almond butter, salt, lemon zest, vanilla and cornstarch slurry. Pour into the crust and bake for about 30 minutes, until set. Cool and place in the refrigerate for several hours. Makes 8 servings.